We are glad to launch AtoMiC ToolKit, a set of bash scripts that will automate installation of home server, NAS, and HTPC related software on Ubuntu Linux (including 15.05 Vivid Vervet) and its variants. You may have used our All-in-one PVR script or our AtoMiC installation scripts for Transmission WebUI, SickBeard, and CouchPotato. If you have tried to manually install PVR software on Ubuntu, you may have to issue several commands in the command prompt. This make newbies a bit nervous. AtoMiC ToolKit, which evolved from our famous 1-step AtoMiC scripts, allows easy installation and maintenance of several software including CouchPotato, Sick Beard, SickRage, SickGear, Sonarr / NzbDrone, Transmission, SABNzbd, and more. 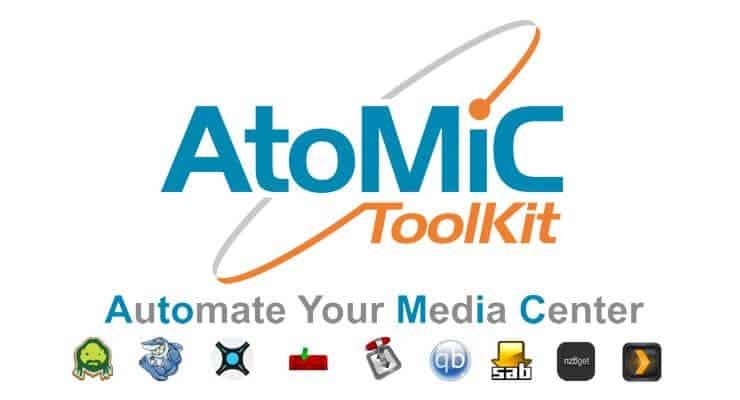 In essence the AtoMiC tool kit can help you setup an automated media center. HELP WANTED: If you have the expertise to port this script to Windows environment and would like to help us, please get in touch. Any help will be much appreciated by us and several others who are interested in a Windows package. How does the AtoMiC Tool Kit Work? AtoMiC ToolKit is a logical evolution of our AtoMiC Scripts. 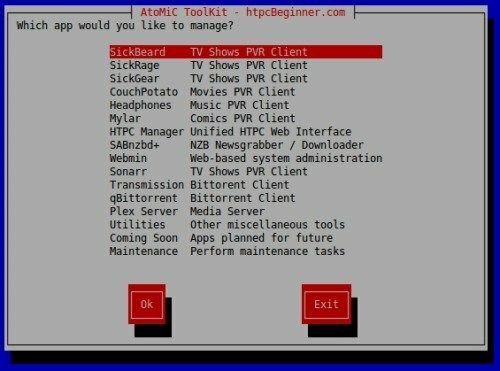 AtoMiC (Automate your Media Center) ToolKit as the name suggests automates installation, uninstallation, and maintenance of several PVR, Usenet, and torrent software. It is available as open-source project on GitHub and is available to clone, copy, and use under MIT License. As development continues to happen support for more software will be added. I will keep updating this post to reflect the changes / improvements. 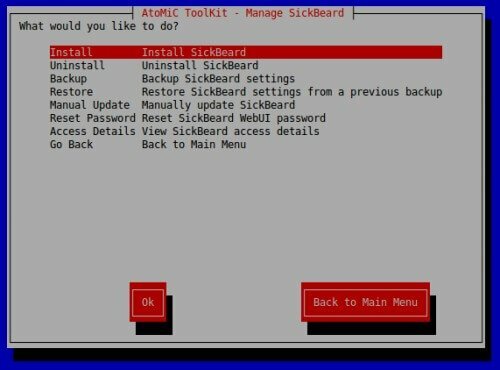 Currently, AtoMiC ToolKit is known to work only on Ubuntu (including 15.04 Vivid Vervet) and Ubuntu based distros including Kubuntu, Xubuntu, Lubuntu, Linux Mint, and Ubuntu Server. Planned – Deluge, ShellInABox, Emby, Monit, Apache, MySQL, nzbHydra, MusicBrainz, NZBGet, RTorrent/RUTorrent, etc. Of course, the above is only a preliminary list of what will be added to the AtoMiC Script. We are also open to any ideas you may have. Rather than explaining how it works in words, we have created this video that shows what and how the AtoMiC ToolKit automates your home server and HTPC setup. 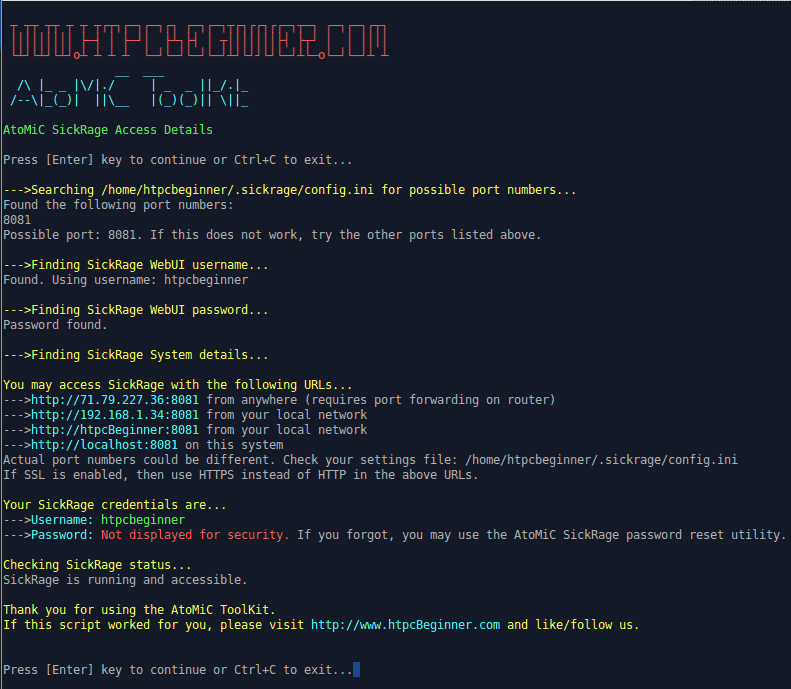 To install AtoMiC ToolKit on your Ubuntu-based system, all you have to do is to clone the project from GitHub and run the setup.sh script. These two steps are the only two steps you have run in commandline, almost everything else is automated for you. This will create a folder called AtoMiC-ToolKit with all necessary scripts. That's it, just choose the option you want to pursue and sit back, relax, and watch the magic that happens in front of you. You may come back and run the AtoMiC script any time you want to do any operation. If you are facing a problem while using this script, please post it on our support forum to get help. Comments section below is not the ideal place to help you. We have put in several hundred hours of work into developing AtoMiC ToolKit. If it helped you please consider donating. All donations will be used only for AtoMiC ToolKit development. With AtoMiC ToolKit, we have tried to provide you an ecosystem to automate HTPC and home server software maintenance. It works best if all software are installed and uninstalled through the ToolKit. If you already have a few things installed then the ToolKit may work but depending on how the software are configured you may encounter errors. If have any suggestions or feedback, please leave a comment. If you like it then spread the word by sharing this post. To contribute or report a bug, head over to AtoMiC ToolKit GitHub page.